AutoCAD is a complex program and it’s crucial for your work. Obviously, the better you know how to use the program, the quicker and more accurate your drawings will be. This is where the importance of education comes in. 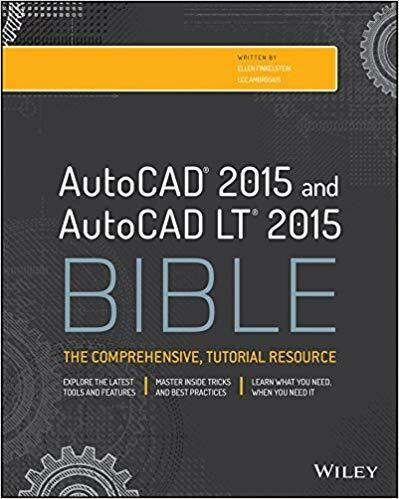 Learning more about the base AutoCAD features that you use, or could use. Some organizations upgrade only every few years. I sometimes get e-mails from people who are upgrading from R14 to R2008! But many upgrade every two or three years, which means that education is a regular feature of the job. Autodesk has a subscription program in which you pay an annual fee and automatically get every new release. Additional benefits are “extensions” (new features released between major releases), e-learning tools, and Web-based support. While companies on the subscription program get each release as it comes out, they don’t necessarily install and use it. But they generally upgrade more often than companies not on the subscription program. Even with the e-learning tools, retraining becomes a feature of life. 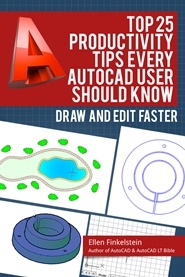 How can you learn as much as possible about AutoCAD and also keep up with new releases? When you first learn AutoCAD, it may be from your dealer, from a book, or from on-the-job training. But it’s never enough. Why? You forget a lot of what you learned, because you don’t use it every day. New tasks arise and you need to discover the best method of completing them. There’s always pressure to be more competitive, which completing tasks more quickly. Therefore, you need to regularly incorporate new customization and automizing techniques. Problems arise, whether due to the melding of drawings from many sources, network issues, having to incorporate multiple software applications, etc. Your peers: If others in your organization use AutoCAD, ask them first. They may have figured out what you need to know. Discussion groups: The Autodesk AutoCAD discussion group is very active and will often give you an answer within an hour or two. User groups: There are many AutoCAD user groups around the country and the world. Go to AUGI (Autodesk User Groups International) to search for the one nearest you. Their site is also a great source of support. Courses: Many colleges, especially community colleges, offer courses in AutoCAD. The schedules are often geared around working people, so you can take them in the evenings or on weekends. Bonus: The teacher and other students can become a permanent networking resource. You can also purchase video courses. Events: Autodesk University (annually) and CAD camps (several times a year) are great learning opportunities that offer classes specialized by discipline. Newsletters: Several newsletters, including mine (AutoCAD Tips Newsletter), offer regular tips, techniques, and articles. Subscribe! Web sites: There are loads of Web sites, too many to mention. Just start searching and you’ll find many. They have free code to download, free tips, and lots more. Beta programs: You can apply to participate in the AutoCAD beta program, which evaluates the software before it’s finalized. You need to have some time to commit to this, as you’re usefulness is related to the amount of testing you do and comments you submit. You’ll learn the new features before they go to market, giving you a jump on the training process. Upgrade training: Most dealers offer upgrade training for each release. Ask your dealer about it. New feature articles: Just after a new release comes out, many sites and newsletters publish a description of the new features. If you’re a subscription member, you’ll have access to e-learning content for the new release. Succeeding in the AutoCAD world means being a perpetual learner. Hopefully, this list will help you find the best learning tools.